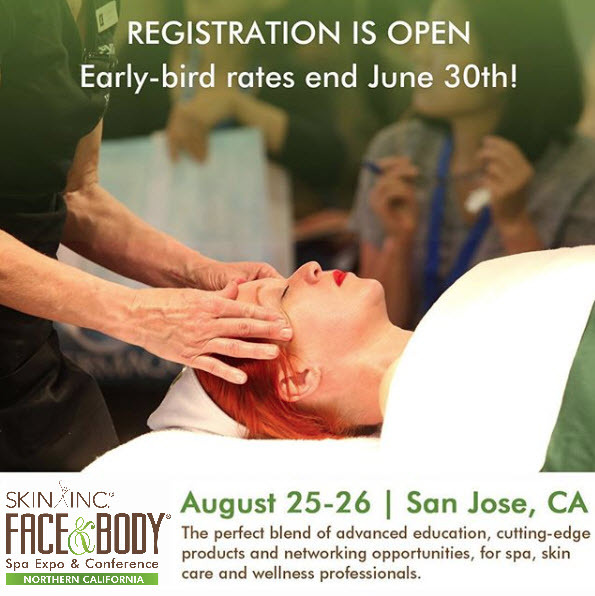 Win Cash Prizes at Face & Body Northern California! No purchase necessary to play. Passport is part of attendees' Face & Body badges. Passport to Prizes is restricted to skin care professionals only. Exhibitors are not eligible to win. Each individual is eligible to win only 1 prize. Incomplete entries are not eligible to win. Registrant must visit all participating booths & tap their badge at the Passport to Prizes Pod stand to be considered complete. Winners need not be present to win. The winners are responsible for any applicable taxes. Three Winners will be notified via phone and e-mail within 30 days or prize will be forfeited. DMK (Booth 623) is building a World of Confidence through its unique DMK Skin Revision™ concept and treatments. Created by the scientific visionary Danne King, DMK offers skin revision programs for all ages, skin conditions and ethnicities in more than 30 countries utilizing DMK Skincare™ home-prescriptive products. DMK's educational program for estheticians and medical professionals is key to the exceptional results that rebuild skin and rebuild lives from the outside in. Germaine de Capuccini/IAC (Booth 1010) Welcome to International Aesthetic Corporation. With over 25 years of experience representing luxury companies within the Spa Industry, we have come to understand the needs of the Spa-goers, Therapists and Spa Directors. Our knowledgeable team will customize each approach so your customers will have the best experience while your spa increases revenues. When partnering with IAC, your spa will have constant support with expert consultation, customer service, education, menu creation and seasonal promotions. Hale & Hush/Eclectic Solutions (Booth 1019) Hale & Hush products employ key ingredients to mediate sensitive skin issues first and foremost. Unlike other sensitive skin lines, however, we also utilize gentle but highly therapeutic ingredients to repair and promote a healthy skin barrier. This is critical to prevent premature aging due to the dryness, fragility and overall cellular stress experienced by sensitive skin. We choose ingredients that support the principles of corneotherapy, which corrects problem skin conditions and prevents the breakdown of the delicate skin barrier. Hale Cosmeceuticals (Booth 418) Utilizing the latest in skin care research, technology, and innovation, Hale Cosmeceuticals has been developing outstanding skin care products for more than twenty years. Our beauty products are free of animal derivatives and parabens, and we NEVER engage in animal testing. Our cold-water processing methods avoid any degradation of our ingredients by heat, ensuring the purity and stability of our formulations. LightStim (Booth 417) The Industry Leader in LED Light Therapy, has been used & recommended by Estheticians, Dermatologists & Plastic Surgeons for nearly 20 years. Designed and manufactured in the USA, LightStim MultiWave® Patented Technology brings proven, lasting results to the consumer for the treatment of Anti-Aging, Acne and Pain..
Quintessence® SkinScience (Booth #1219) incorporates the latest advances in the science of physician based cosmetic skincare. All our products are formulated and tested by a group of prominent Dermatologists in the US and Europe and are manufactured utilizing advanced scientifically supported technology, including plant stem cell biotechnology and sustained release liposome delivery systems. These include the clinically proven Forti5 Hair Loss treatments and the world-renowned Miami Peel® systems.